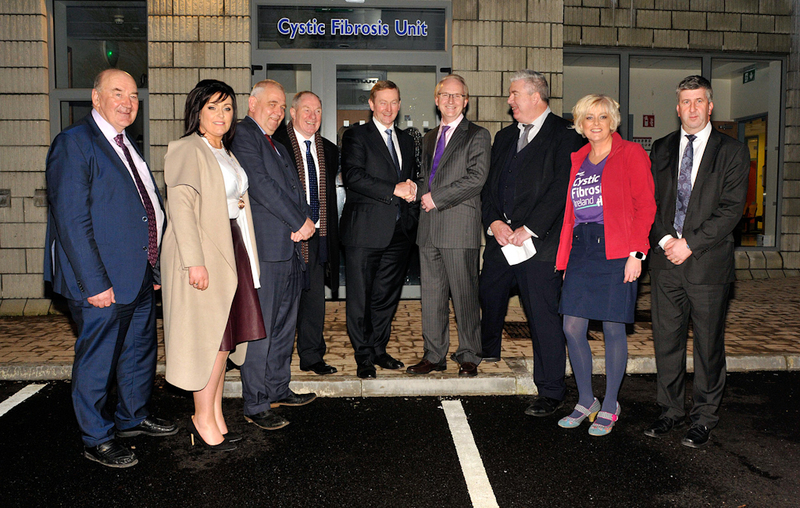 New €1.4m Cystic Fibrosis day care centre in Mayo University Hospital is officially opened by An Taoiseach Enda Kenny TD January 15th 2016. 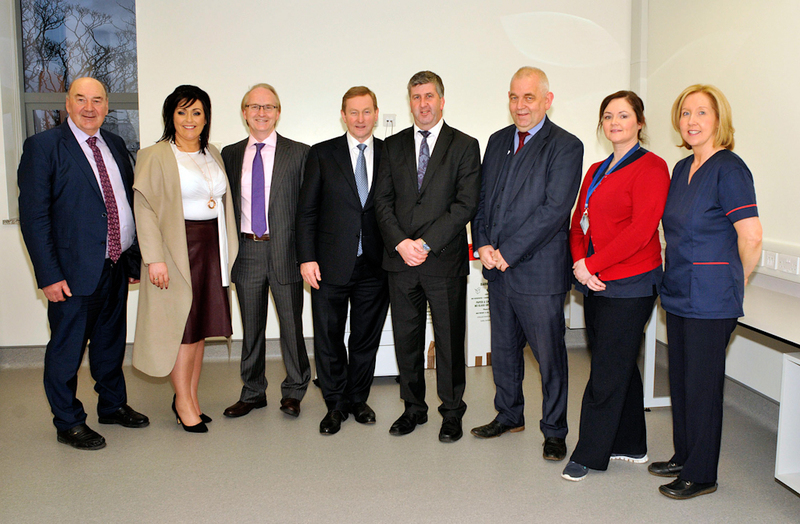 A new €1.4m day care centre for patients with Cystic Fibrosis (CF) was officially opened by An Taoiseach, Enda Kenny TD, today, Friday 15th January at Mayo University Hospital. The new centre will, for the first time, provide dedicated facilities for all of the regular outpatient and day care needs of children and young people with CF in the greater Mayo area. The CF day care centre was built through a partnership between the Mayo University Hospital/HSE and charitable funding and other support provided by Cystic Fibrosis Ireland (the national CF patient group) and CF West (a regionally based CF hospital build fund). 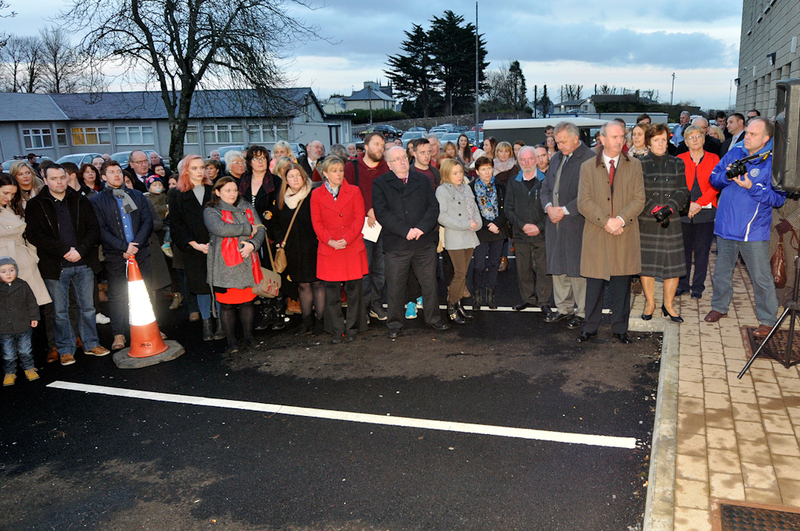 Commenting An Taoiseach Enda Kenny TD said, "It is just over two years ago that I was given the honour of turning the first sod on the site of the new Day Care Centre and Outpatient facility for people with Cystic Fibrosis in Mayo University Hospital. I am delighted to be returning to officially open the new facility in Castlebar. Everybody involved with this project can be immensely proud of their achievement. Cystic Fibrosis is the most common genetically inherited disease in Ireland and the need for such a facility is well recognised. Despite our small size, we have the highest proportion of people anywhere living with this condition. That is why the completion of this facility is such a significant milestone for improving health care services in the West." "Mayo University Hospital has been delivering an excellent level of service for Cystic Fibrosis patients for a number of years and the clinic here has an outstanding and devoted medical staff. But there has long been a need to develop a specialised Cystic Fibrosis facility in this region and now, thankfully, this unit can begin to deliver for patients attending Mayo University Hospital. Cystic Fibrosis patients can have routine procedures carried out in a place ideally suited to their needs." "I would like to take this opportunity to pay a special tribute to the fundraising efforts coordinated by Cystic Fibrosis West, working with the Mayo branch of Cystic Fibrosis Ireland. Cystic Fibrosis Ireland their staff and, most of importantly, the volunteers, giving of their time and energy, has made a hugely significant contribution towards improving the lives of those suffering from this disease. This unit represents the gold standard in terms of the care environment for Cystic Fibrosis patients. "It is also representative of the improvements here in Mayo University Hospital over the last number of years. Only last month we officially opened the Mayo Medical Academy and this comes on top of other investments like the renal dialysis unit here in Castlebar. I will continue to work to keep the recovery going. A better economy and more jobs across Ireland mean we can invest in vital public services like the fantastic facilities at Mayo University Hospital." Charlie Meehan, General Manager at Mayo University Hospital added, "This is a significant development for CF services in the greater Mayo area. The Cystic Fibrosis team at Mayo University Hospital are first-class and this new facility will enable them to continue to deliver high quality care in state of the art clinical facilities. I would like to acknowledge the significant support provided by Cystic Fibrosis Ireland and CF West for the development of this centre." Commenting, Dr Michael O Neill, Consultant Paediatrician and lead of the CF team at Mayo University Hospital said, "This new centre will increase the life expectancy and improve the quality of life of the many CF patients in Mayo. It provides two specialist patient areas, treatment facilities, education laboratory, conference and support facilities all integrated into the main hospital's infrastructure". 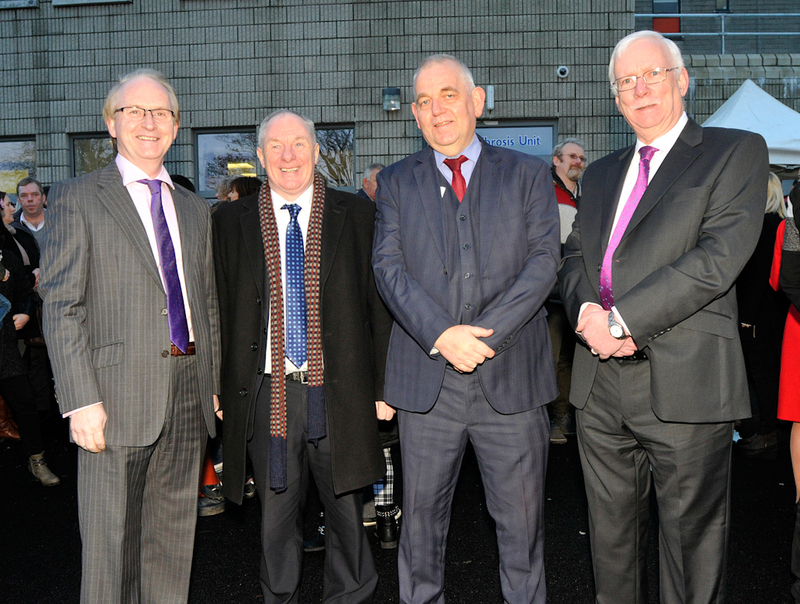 Philip Watt CEO of Cystic Fibrosis Ireland stated, "This new daycare centre in Mayo University Hospital offers a beacon of hope for children and young people with Cystic Fibrosis in the northwest region. The project will mean that for the first time there will be a stand-alone centre for treating people with CF in Mayo General Hospital built to international standards, including specially designed air filtrated consulting rooms for regular patient assessments. I would like to thank those who contributed to key stages of this project in particular the huge contribution of CF West and the Mayo Branch of CF Ireland; the Board and patient advocates in CF Ireland and to the great support from the Management and CF clinical team in Mayo University Hospital. This project has benefitted in many important ways from the support and commitment of An Taoiseach Enda Kenny TD and we thank him and the government." Martina Jennings Chairperson of the Mayo Branch of CF Ireland and Chairperson of the CF West stated, "The new CF day care centre was the brainchild of CF West and Cystic Fibrosis Ireland and would not have been possible without the fantastic generosity of the local community in Mayo, together with support from many other parts of Ireland. People responded time and time again to our many calls for support. We cannot thank the public enough for their kindness, particularly in a time of recession when it became clear that this centre would not have been built solely from public finances. Those who supported this fantastic new centre can now see how they have made a real difference to the care of children and young people with CF. On behalf of the Mayo branch of CF Ireland and CF West we say many, many thanks to all those who supported us along the way". Cystic Fibrosis is a genetic disease that primarily affects the lungs and digestive system. A thick mucus builds up in the lungs and over time creates the conditions for severe infections that often require hospitalisation and/or intensive outpatient treatment, including the use of powerful anti-biotics. CF also impacts on other organs in the body including the pancreas, the liver and the sinus. The survival age of people with CF is slowly increasing with more people living into their 30s and beyond thanks to innovative new therapies and improved CF centres and care. The median age of death at 27 years remains challenging and shows the severity of CF. Regional day care/outpatient centres, in partnership with more specialized CF centres in major urban areas, are a vital part of CF care. They enable the regular assessment of patients and they facilitate the design of treatment in a local and accessible setting, which is particularly important for the care of children and young people.